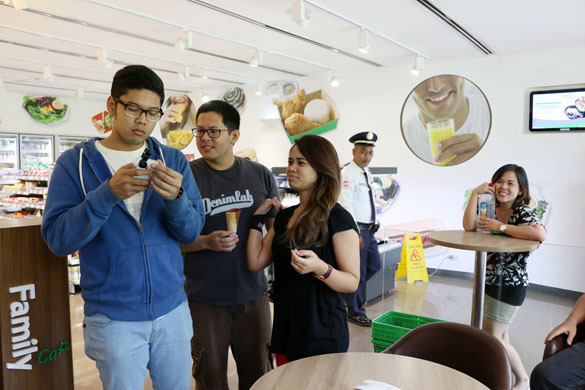 Going around Hong Kong was a fun experience for me since I got to taste different flavors in a number of cities. Here are some of the restaurants and stores we visited during our stay. 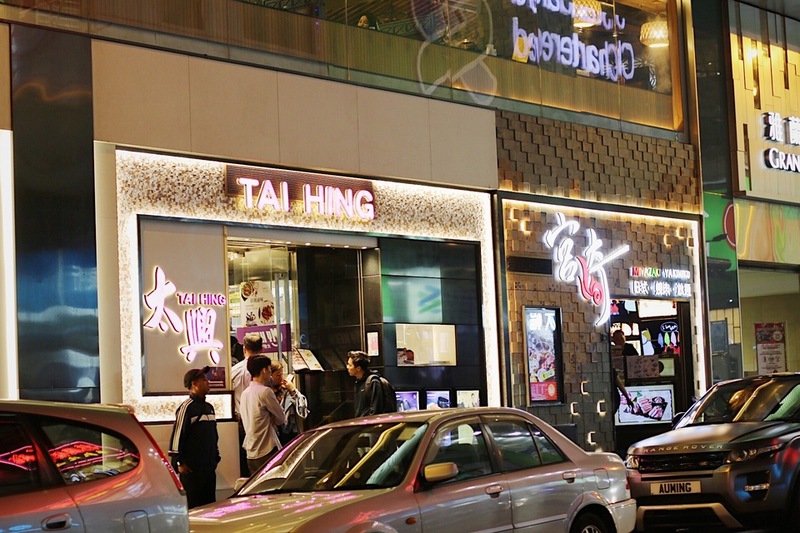 Tsim Chai Kee has been earning Michelin stars since 2010 and is still one of the most sought restaurants in Hong Kong. Without a doubt, it has one of the best wontons in the country! 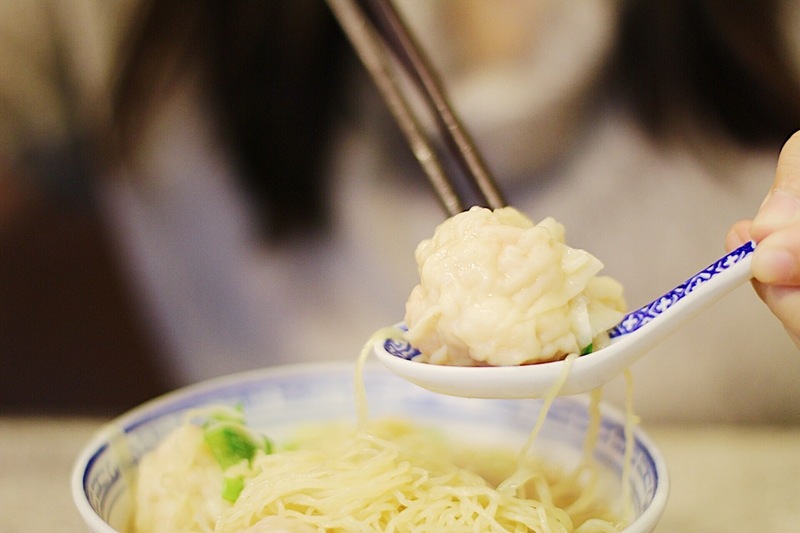 I still remember how the flavors exploded in my mouth after eating the plump and savory wontons in their noodle soup. We ordered the King Prawn Wonton Noodle (HKD 29 / PHP 188). However, unfortunately, the broth was bitter for me. Imagine overcooking onion leeks or chives in the broth and tasting its bitterness with every slurp. Nonetheless, the delicious wontons made the experience unforgettable! 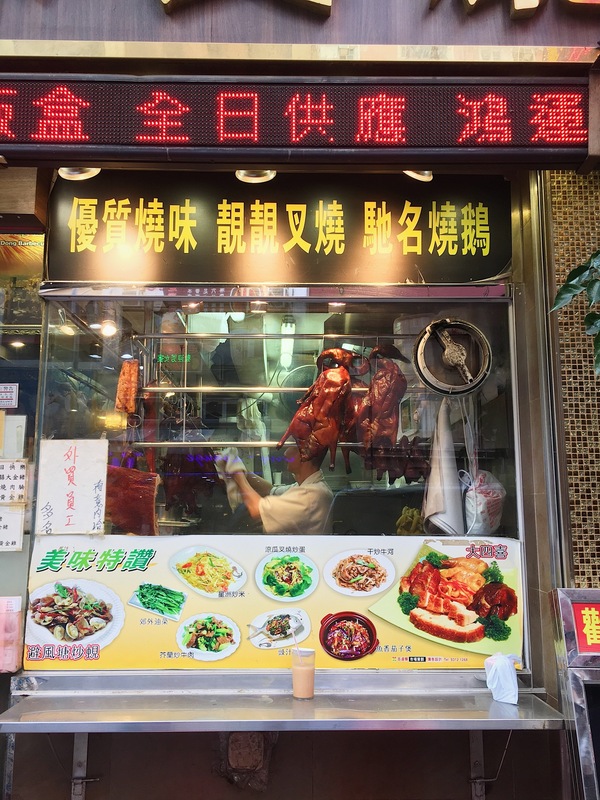 If ever you’ll visit this restaurant, you’ll probably share your table with strangers since the place only has around 8 tables inside and is very much visited by locals and tourists. 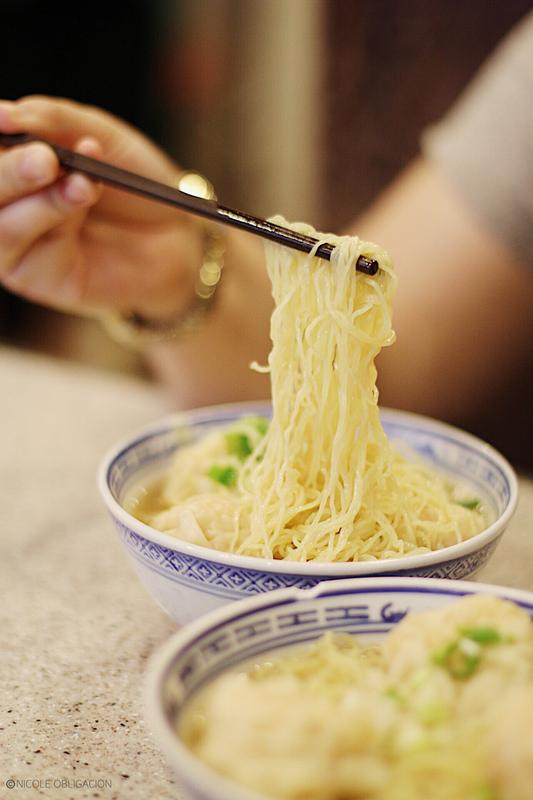 Tsim Chai Kee is situated right across one of its competitors, Mak’s Noodles. Although, we weren’t able to try the latter one because it opened at a later time (11 am). 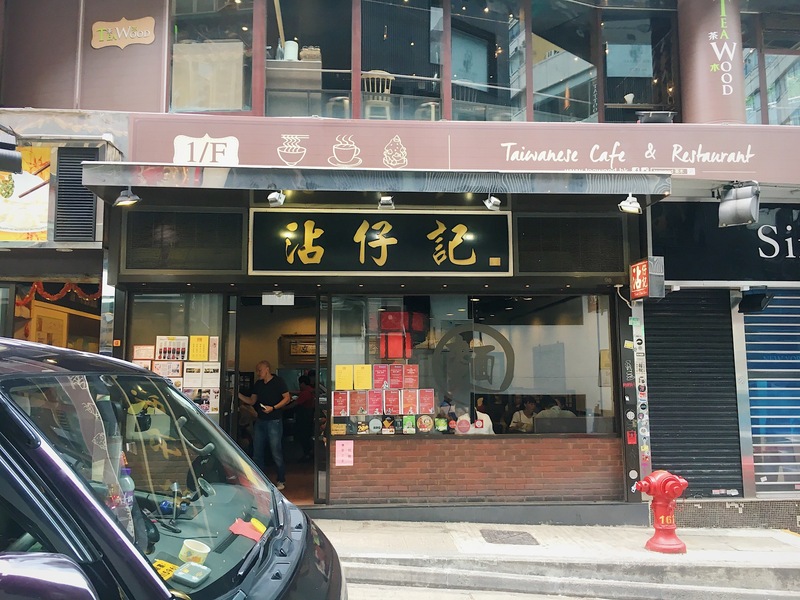 Based on other reviews, Tsim Chai Kee has bigger wontons compared to Mak’s. Next time, I’ll make sure to drop by! This was located a few streets away from the Airbnb apartment we stayed at. 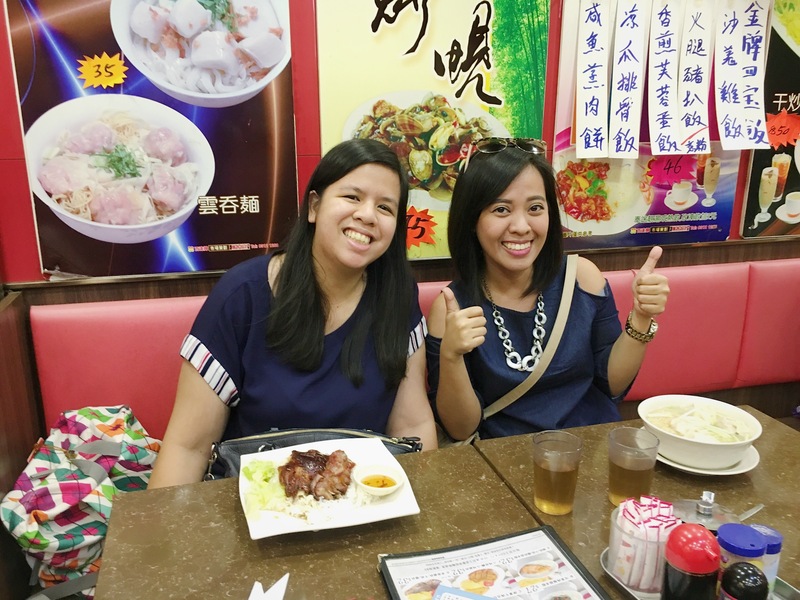 The staff couldn’t speak English that much, but with the help of a few hand signals and their menu card, we were able to order a bowl of Wonton Noodle Soup (HKD 35 / PHP 227) and a plate of Roasted Duck with rice (HKD 57 / PHP 370). Both dishes were delicious! I liked the broth of this wonton noodle soup more than Tsim Chai Kee’s and their wontons were also very delicious. I liked how they did not skimp on the shrimps. There was a whole, freshly cooked shrimp in each steamed wonton. Aaaahhh! I love Chinese food! The service was also quick. We had our dishes in less than 5 minutes. 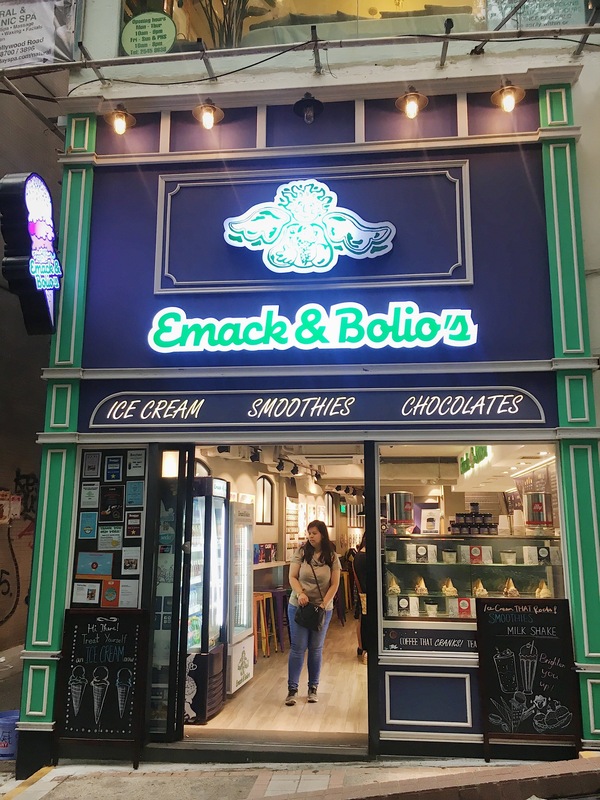 My friend had a discount voucher for this ice cream shop, so while it was drizzling, we stopped over and got ourselves a cold and creamy treat! 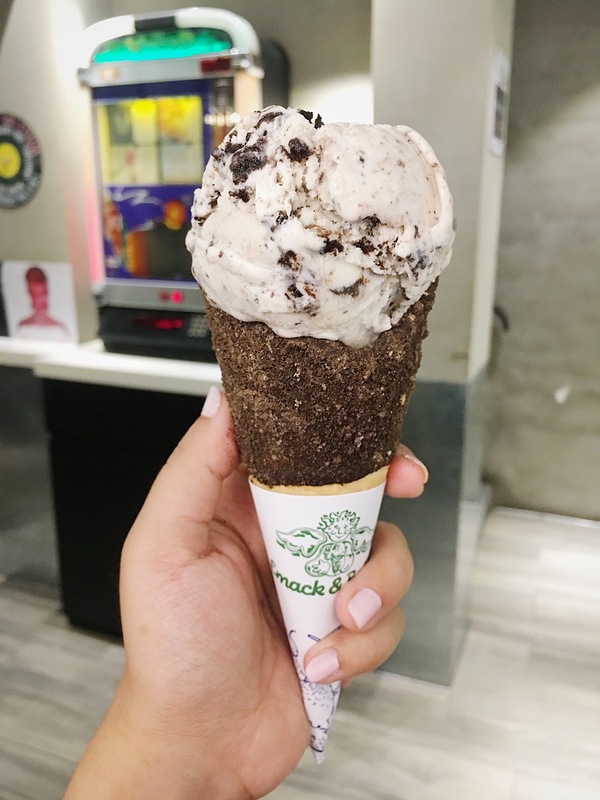 Of course, I got the usual flavor (Cookies & Cream), but I paired it with a waffle cone which was covered with chocolate and crushed Oreos. 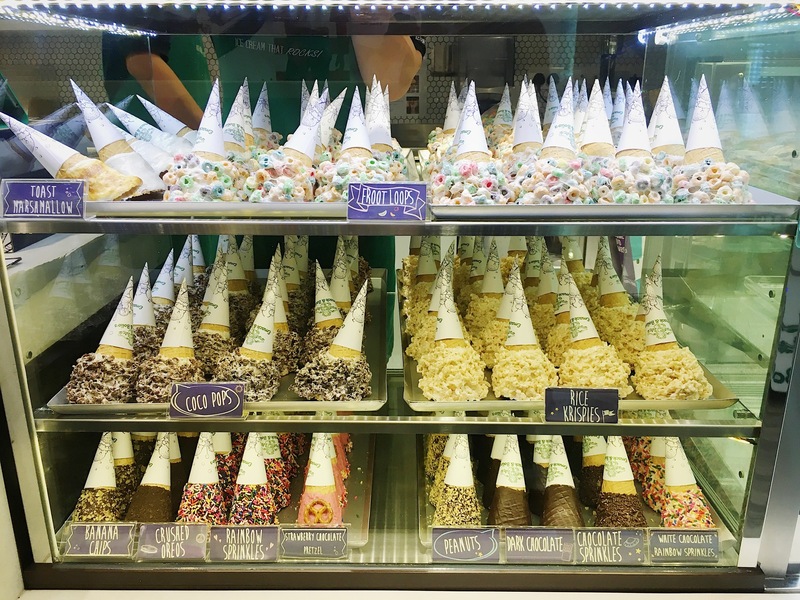 They have other crazier options for their waffle cones, but because it was too much for me, I chose the Oreo Overload. 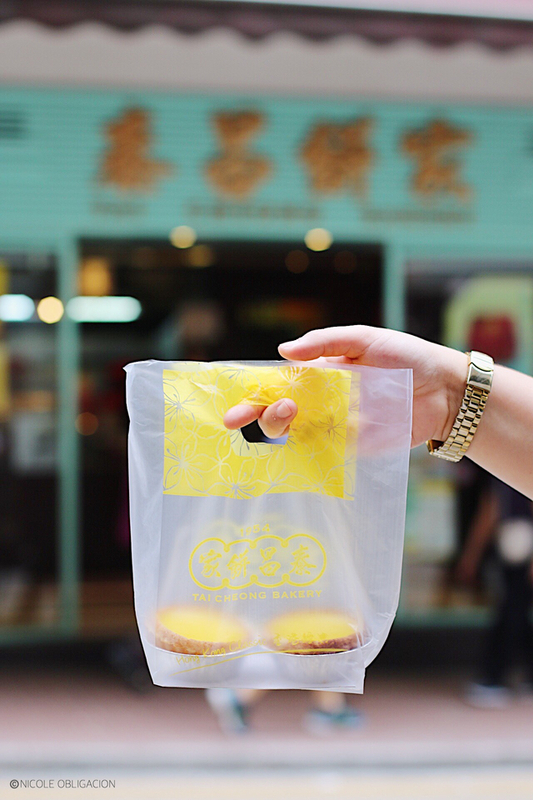 One of the go-to stores in Hong Kong is Tai Cheong Bakery. 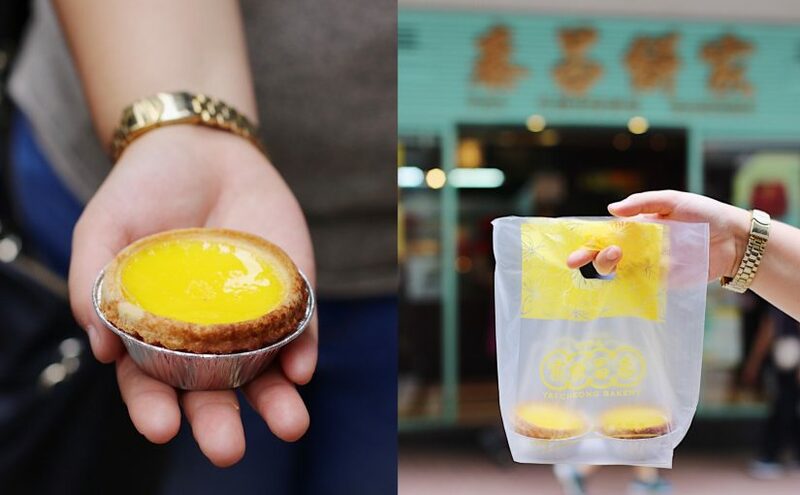 Their freshly baked egg tarts are delicious! I am not a fan of tarts, but I enjoyed eating this one! The egg flavor was just right and the tart’s crust was savory. It also had the right amount of salt and sugar. The light filling can be likened to gelatin. I really wanted to bring some home to the Philippines, but I wasn’t sure if they would last the trip. 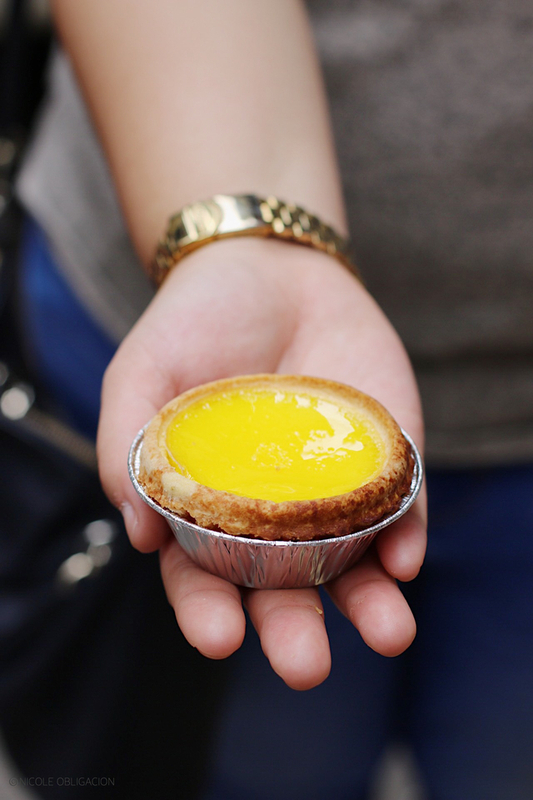 Now, I regret not being able to buy more of the egg tarts. For my late dinner / early midnight meal, I passed by Tai Hing because I was thinking about Hong Kong’s crispy roasted pork. 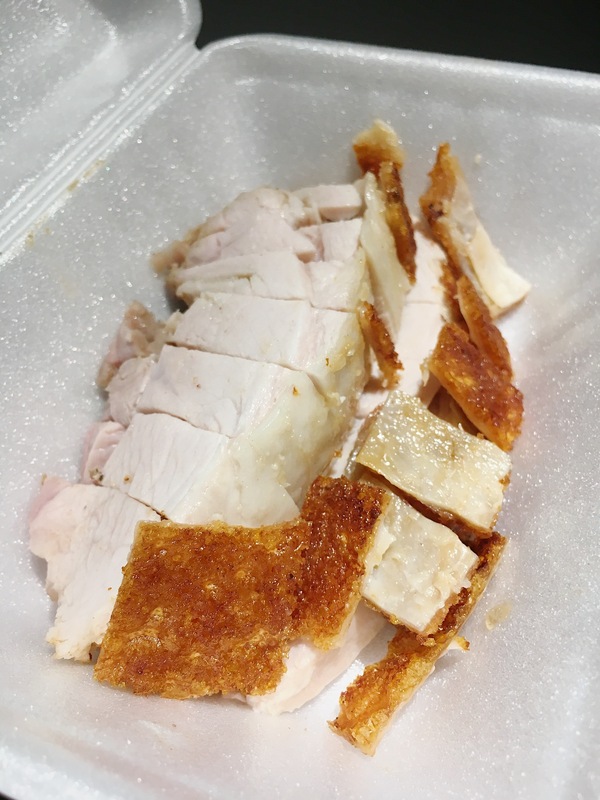 Unfortunately, I wasn’t able to clarify that I wanted the single serving, so I ended up buying the whole serving of crispy pork which was good for 2-3 persons. I ate it with a cup of white rice and their mustard sauce. I wasn’t a fan of their mustard sauce though. But, I liked how they served the good parts of the pork. There was more meat than the fatty part. Plus, the thick skin was delightfully crispy! I would have liked it more if the skin was saltier. But maybe it was because I was just used to eating salty lechon skin in the Philippines. I heard good reviews of this restaurant. Hopefully, I can go back and give their other dishes a try! 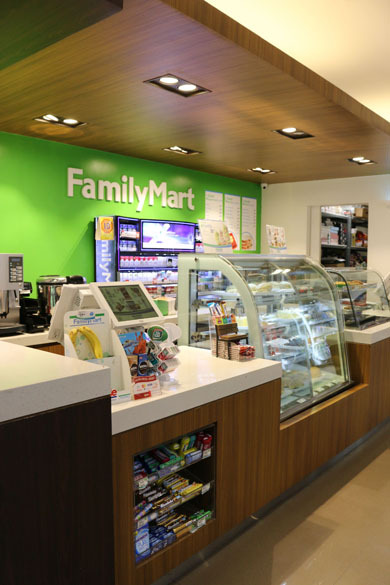 Click HERE for more restaurants and food stores we visited in Hong Kong. We don’t need to go out of town or spend a huge amount of money to have a good time with the family. 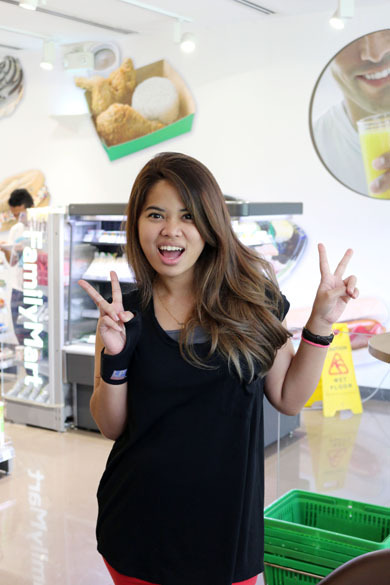 Sometimes, all it takes is Php 30 and a quick stopover at a convenience store nearby. 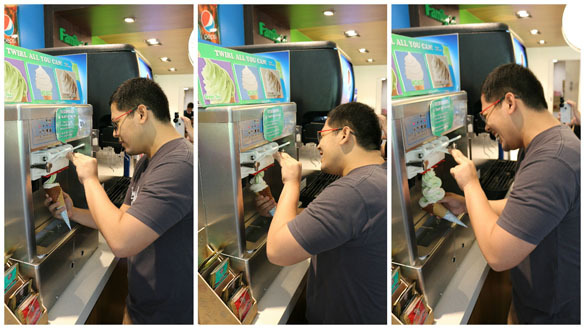 Our family spent the whole Saturday with each other and one of our random activities during the day was to try the twirl-all-you-can at Family Mart, Ayala Triangle. My eldest sister knew about the fun experience I had when I first tried it last year, so she recommended to do it with the family. 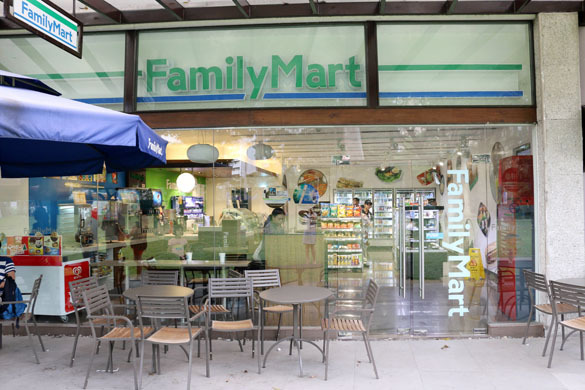 Upon entering the store, we sat down on the comfortable chairs and waited for dad who bought a cone for himself. 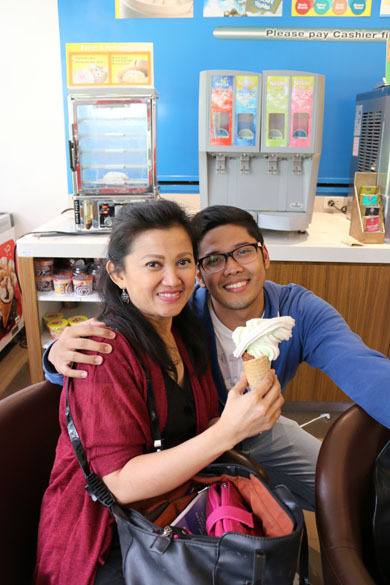 He bought just one cone because we were all full and we didn’t feel like eating ice cream after having our heavy breakfast. 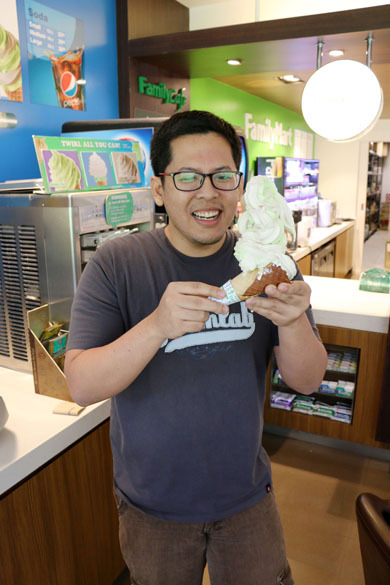 Dad knew that I enjoy twirling (which is also similar to piping frosting on cupcakes), so he gave me the opportunity to twirl the ice cream for him. Woohoo! It really is something that I can do all day. 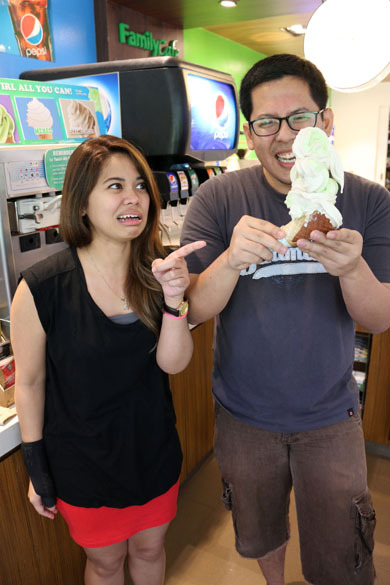 After six twirls, the ice cream almost fell, but I immediately used my two fingers to catch it just in time. Oops. Hahaha! Both my brothers suddenly had the urge to give the twirling a try even though they didn’t feel like eating ice cream that morning. Haha. 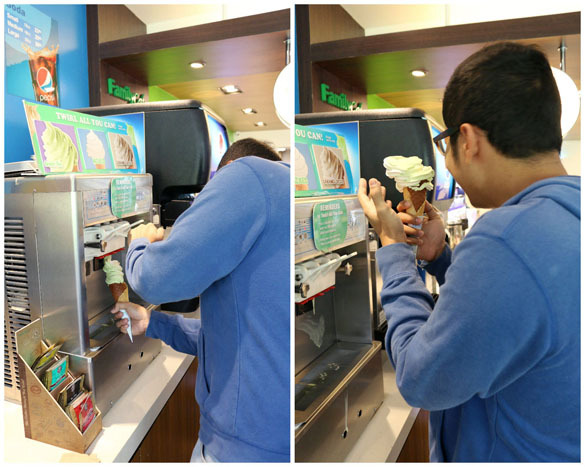 Our younger brother bought a cone and started twirling the ice cream. He started with beautiful twirls at first, and then, the funny part happened. 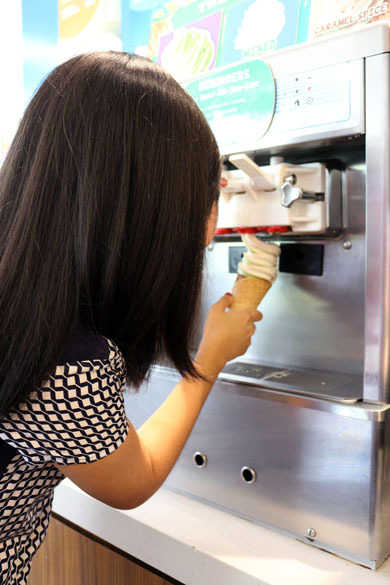 Because the machine was releasing the ice cream fast, his hand panicked and lost control of the cone. It resulted to producing a funny twirl. 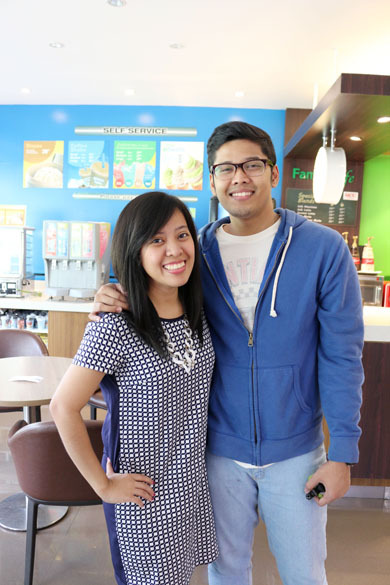 Nonetheless, it did have a generous amount of ice cream, so, good job, Gabo! Hehehe. 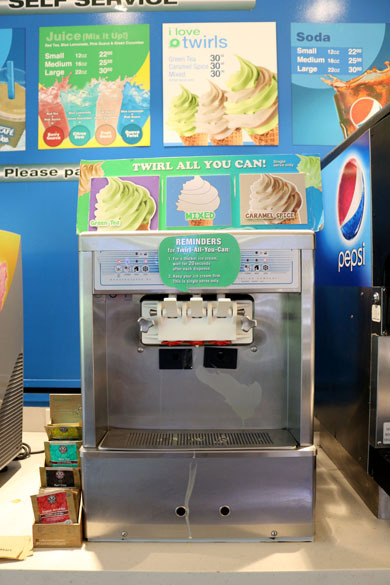 At this point, my older brother was already coming up with a strategy to produce the best twirl – one that would have the most ice cream on the cone. 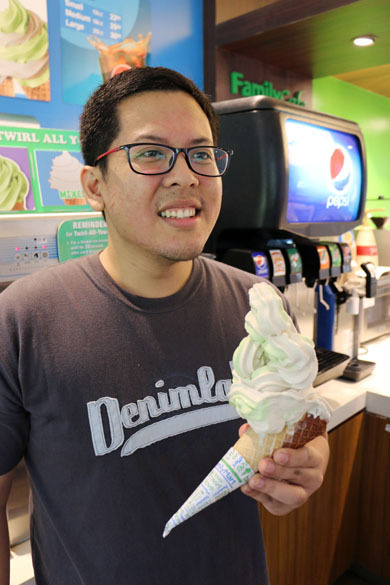 He came up with an interesting and crazy idea to tilt the cone sideways until it is positioned horizontally while allowing the ice cream to twirl awkwardly on top of it. We didn’t expect him to do it, but he did. Hahahaha! Just like Gabo, he started out with neat twirls, and then, chaos took over! 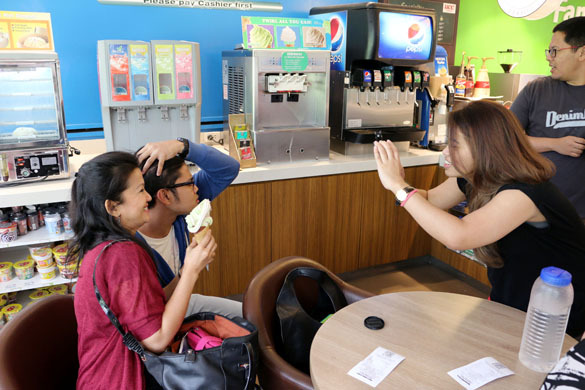 Instead of twirling the ice cream, he started to twirl his hand and body. It was the funniest thing! Hahaha. By this time, we were all laughing because of the masterpiece that he was creating. 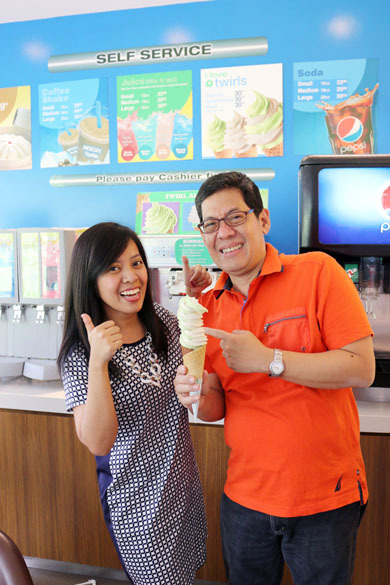 After a number of twirls, he finally took out the cone with the best twirl that morning! Woohoo! My Sunday afternoons are usually spent at home with my siblings and our two dogs. Most of the time, we would hang out in the living room, eat, and watch movies together. Of course, to make the experience more pleasant, our Sunday routine always included using the air conditioner for an hour or two. However, since the start of summer, turning it on for an hour wasn’t enough anymore. We would eventually use it for four or five hours straight just to keep us cool in this extremely hot weather. Besides enjoying the air conditioners, another thing that I like about summer is that we get to appreciate cool and refreshing drinks and desserts more during this season. I usually am satisfied with a glass of cold water or homemade fruit shakes. But today, I decided to use my eldest sister’s anniversary gift for our parents: Say hello to the lovely YONANAS machine. I froze pineapples yesterday and my younger brother helped me prepare the ice cream using the Yonanas machine. It was amazing!! The pineapples from Tagaytay were also affordable (Php 7.00 each) and were naturally very sweet, so the dessert was really delightful! I find this kitchen tool very interesting because it turns frozen fruit into ‘ice cream’ instantly! We don’t need to add milk, sugar, or any artificial flavors and colors to it — just pure, awesome fruits made by God. It reminded me of how God’s pure and perfect love is more than enough for us. In the same way, there’s no need for us to mix it up with other temporary pleasures and treasures just to try to satisfy the cravings of our hearts. God already gave us the best kind of love through His son, Jesus, when he died on the cross and rose again so we could spend eternity with Him in Heaven.